Perhaps you already know about the numerous health benefits of coconut oil, but were you aware that in as little as one daily serving, the medium chain triglycerides (MCT) or ‘healthy’ fats in coconut oil can start to repair slow neural pathways and improve cognitive functioning and memory? This is true for people of all ages, but especially in senior adults. 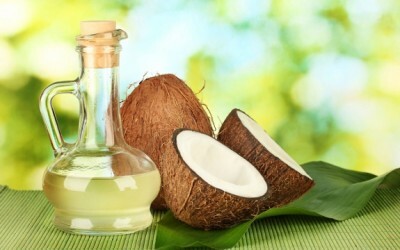 The connection between coconut oil and Alzheimer’s prevention and even reversal has been made stronger than ever, as evidenced in recent studies like the one published by the journal, Neurobiology of Aging. Prevent vitamin deficiency since many vitamins like vitamin D are only found in fatty parts of foods (good, not man-made fats, like hydrogenated and partially hydrogenated oils which have been tampered with by man) and are therefore called fat-soluble. This means your body can only absorb these vitamins by eating healthful fats. Good fats can increase the bio-availability of fat-soluble nutrients needed for multiple tasks in a healthfully functioning body. Good fats support both physical and physiological health in developing children, starting as early as during fetal development. As we age, medium chain fatty acids can help prevent cognitive laziness and loss of memory. MCFA or medium chain fatty acids (which are slightly different than medium chain triglycerides, but also found in coconut oil) are also extremely helpful at reducing belly fat. The primary healthy triglyceride found in coconut oil is lauric acid, which is found abundantly in a mother’s breast milk. To build a strong body, especially a well-functioning brain, you need fatty acids. Along with balanced glucose levels, full chain amino acids and important micronutrients can keep your brain functioning at high levels from cradle to grave. Consuming coconut oil is a great way to boost not only brain health, but overall health as well. Re-read the article; there is reference to its source and the author always provides it. Her articles are primers which introduce the topic and leaves it to the reader to further the interest. She is probably restricted to a maximum number of words; don’t kill the messenger. Late reply but I saute dulse seaweed (Maine Coast Sea Vegetables plug) in a pan of warm coconut oil (Nutiva Organic plug) just long enough to soak up the oil. Tastes great and you also get the benefit of iodine from the dulse. Pinch of Celtic sea salt is great too. Saturated fat is reputed to turn to cholesterol in the body which is used to make hormones which are essential to good health and creating that well feeling. Any interference in its balance has deleterious effect on both health and behaviour. Be careful of the establishments propaganda. Organic, extra virgin, COLD PRESSED, NOT PROCESSED. Regardless of where it is sold. If it is organic, it has the emblem and should be safe. It would have been nice if the author actually said what a serving of coconut oil was. It’s nice to have catchy headers, but not if you don’t deliver. Just take a tablespoon full and eat it! A) a tablespoon is a serving. B) you can eat it raw, or bake / cook with it. I prefer muscling down a tablespoon along with 2 tbsp of apple cider vinegar every day. What is a serving of coconut oil? I have observed that most stories by Christina Sarich are vague on the specifics of anything. She also does not attribute her information to any source. She just magically knows everything, I suppose. Oh why, oh why, don't the owners of this website edit things? Or maybe they don't know any better, either. My cholesterol has gone up 10 pts in 6 months since I started using coconut "oil" lard in my smoothies. I have increased excercise and cut out red meat exclusively. I weigh 138 lbs. should weigh 122. Please advise. Today is my cardiologist app't and I fear he will insist a statin which I refuse to take given my LATE husbands experience with them. make sure of what you are eating. make sure it is pure virgin coconut oil. i have no idea what you mean by “lard” make sure it is not hydogenated in any way. do not go on statin if your cholesterol is under 300. low cholesterol is not good for you and statins have nasty side effects, one being the onset of diabetes. meanwhile, vastly lower your intake of grains and carbs. For one, you need to read Dr. Dwight Lundell's book or Dr. Steven Sinatra's book on the cholesterol myth. You are severely misinformed, and two, you should use only organic extra virgin coconut oil and not the junk you see at Wal-Mart. Wake up..you're brainwashed..too much cholesterol is a good thing! I use it as a moisturizer…wondering if that's a good way to consume it? What is a good, tasty way to consume Coconut Oil, esp. if you don't want to cook your food with it? Or is it preferable to consume raw…?